This week started with a couple of practice shots to see how much I remembered. 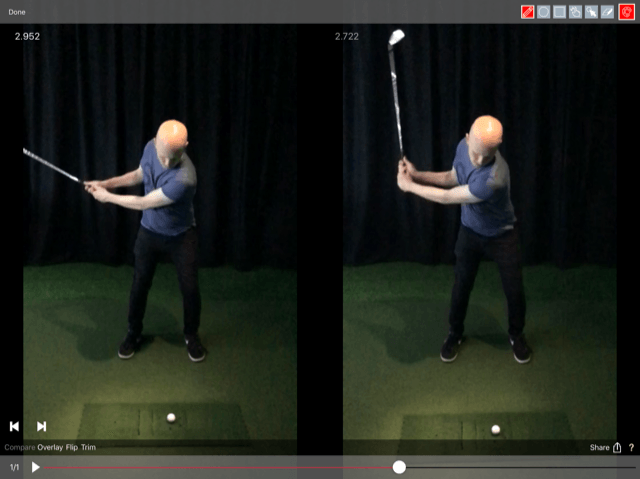 My coach, Nick Moncur, had last week improved my posture and was pleased to see that at least some of it had sunk in. With my posture still intact, we moved on to some more advanced stuff. Although, I thought my swing was alright, only on seeing it back on video did I realise how off it was. As you can see from the picture, my wrists were nowhere near the “L-shape” required. This took a bit more work than the posture to get right. It was a case of keeping on practising. Nick offered me plenty of tips to help throughout such as techniques to get used to the feeling of the wrists locking in position. 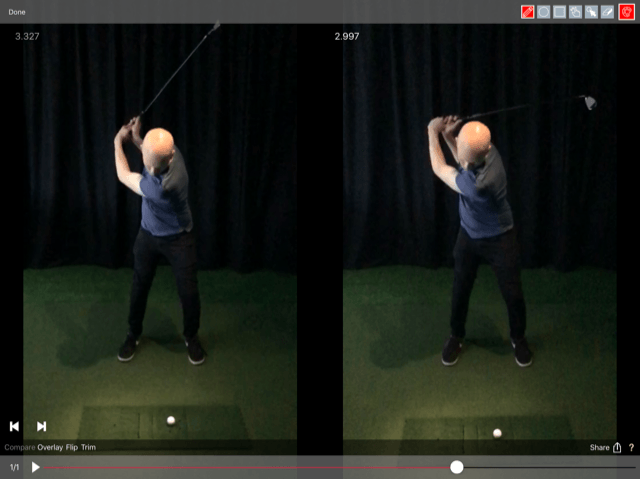 We recorded multiple videos throughout the session to focus on the different areas of the swing where I was messing up. 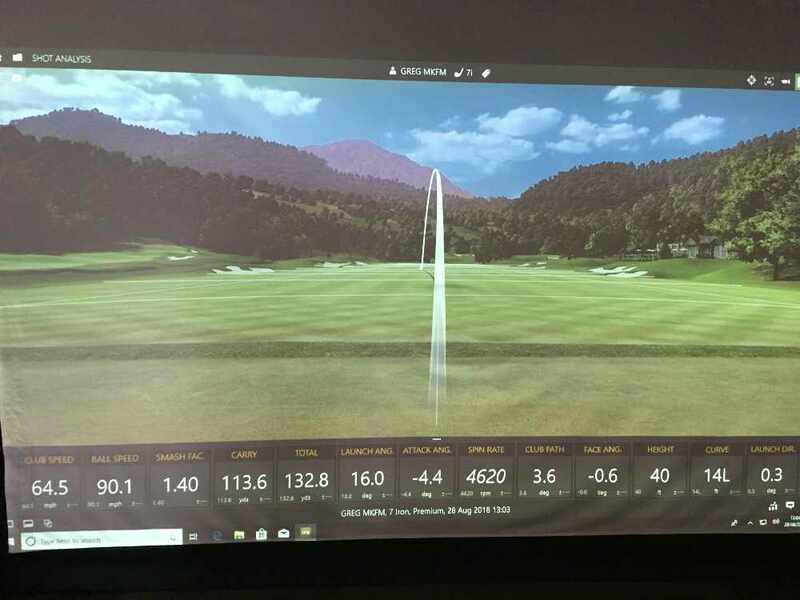 The great thing about Pro Shot Golf Club is that you can see how doing different things affects your shot, not just from where the ball goes but also through all the individual statistics. This is probably my best shot of the day, thanks to the change in wrist leverage on top of my posture.